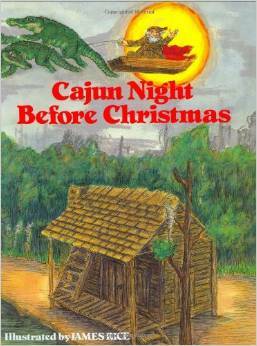 Continuing my series of reviews of favorite children’s Christmas books, today’s selection is Cajun Night Before Christmas, by “Trosclair,” edited by Howard Jacobs. The book is available in many book stores and at amazon.com here. Posted on December 9, 2014, in Books, Uncategorized and tagged books, Cajun, children, Christmas, humor. Bookmark the permalink. 1 Comment. My dad loved this book! Brings back great memories. Great choice!